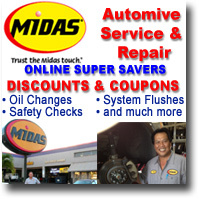 With a Midas oil change, our technicians recommend the right oil for your vehicle, inspect your car's air filter and check the levels of vital fluids for brakes, power steering, automatic transmission and coolant/antifreeze. The single most important piece of maintenance you can perform on your vehicle is to change its oil as recommended by the manufacturer, based on your driving conditions. With each oil change, the oil filter should also be replaced. Q: I've heard different things about how often to change my oil. What's the best guide? A: Follow your vehicle manufacturer's recommendations. They will specify the frequency for an oil change for your driving conditions. The timing of your oil change should follow those recommendations. 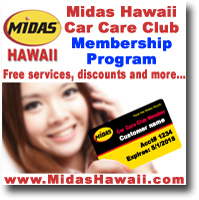 Q: I've got an older car, how important is it to change oil as frequently? A: An oil change puts fresh oil into your car. More importantly, an oil change takes out the old oil that can become filled with dust, metallic shavings or other contaminants. As your oil ages, outside items make their way in. Without an oil change, this can lower your gas mileage or in the worse case, cause your engine to fail. An oil change is a great preventive step to keep you car running clean and smooth. Make sure to change your oil filter as well, it helps to remove impurities from the oil and the engine. Q: This may be a dumb question, but what do the numbers mean on oil, and do I need to care which is used? A: Good question. It's something that most people probably aren't familiar with. The first number (such as 5W) indicates the low-temperature viscosity. Viscosity simply is a measure of an oil's ability to flow and protect at certain temperatures. The lower the number, the easier the oil will flow (and protect) in cold weather when starting your car. The second number (such as 30, in 5W-30), indicates the thickness of the oil at operating (high) temperatures. The higher the number, the better the lubrication will be. When you get an oil change, you should follow your manufacturer's recommendations. 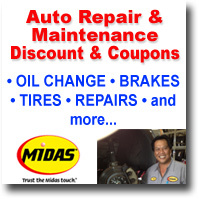 Take a look at your owner's manual before your next trip to Midas for an oil change. 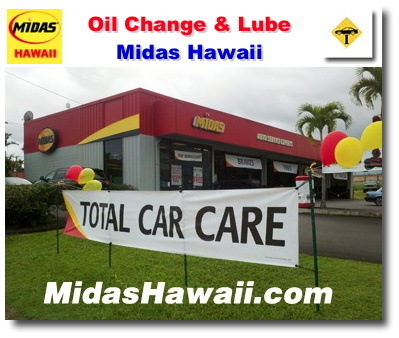 Why do we sell popular oil change and auto repair services online?